Raise your hand if you liked My Little Pony as a girl. I loved it! I’m proud to say that I passed that love on to my little girls. I even saved my old ponies, and passed those on to my girls. For Audrey’s birthday last year, you might recall in this post that I talked about having a My Little Pony party. It’s been a while since the party, but I wanted to show off the My Little Pony dress up accessories that we gave out as favors for the party. You know me and my handmade party favors! Each of the girls at the party got a tail and ears. Don’t worry, the pony toys were just for decoration. I wasn’t gonna go too crazy! 😉 Audrey got some extras (a unicorn horn and wings) because she was the birthday girl, Princess Twilight Sparkle! I can’t take credit for coming up with this adorable idea. 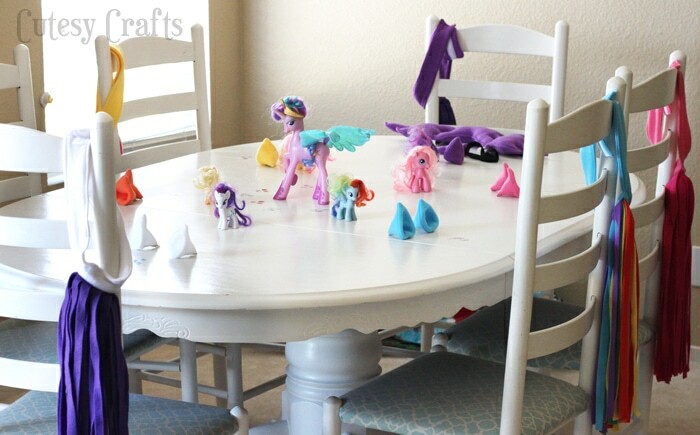 My friend, Toni, from Sugar Tart Crafts has been super generous and shared all of these patterns in a My Little Pony Sew-Along on her blog. She’s got patterns for a pants and a hoodie with mane too. 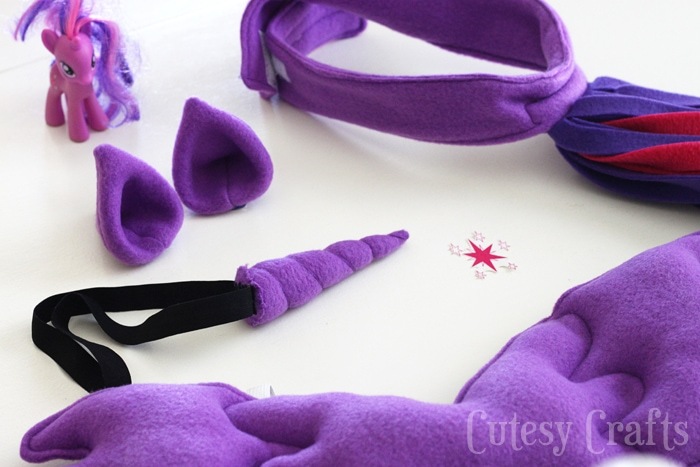 AND if you don’t feel like trying to sew this stuff yourself, she sells all of the awesome pony stuff in her Etsy shop. 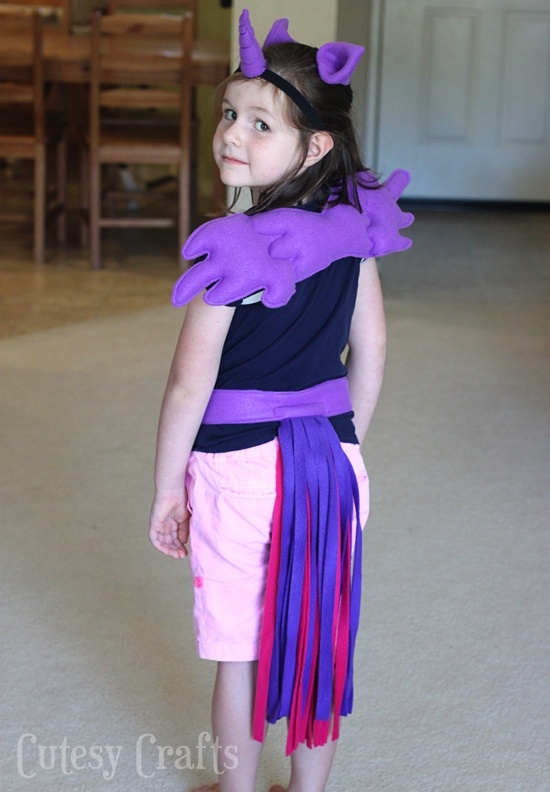 She even has an adorable Spike costume that she makes. SO cute! My girls love having these in their dress up bin, and they’ve held up really well. These would be so great to make for Halloween too! Oh my – that is too cute!! 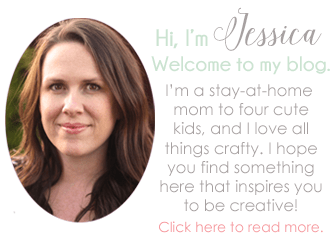 Oh my gosh Jessica. Best favors EVER! I can just picture the looks on those little girl’s faces. You’re too awesome, & I love that you made one for each character! Oh thanks Toni! And thank you so much for providing the patterns! The girls LOVED them!